I grew up in a household that valued doing work with your hands; “creating something out of nothing”, my mother would say, and I find great pleasure in the routine, rhythm and physical work of making pots. For me, it is the perfect marriage between idea and action. Working from the long tradition of studio and folk potters, I passionately pursue the good individual pot that comes from working in a series of related forms over time. An inveterate arranger, I see the world around me through the lens of composition and relationships, where visual components interact with each other to create a pleasing whole. The process of arranging and looking, fussing and moving is similar to how I approach making pots. Turning my lens on the clay components, I work toward a balance between the honest, sometimes unmannered lines of construction and the more formal considerations of design, working to create functional, organic forms that have a generous lip, handles or feet. Working with a limited palette of color, I predominantly use terra sigillatas and amber glaze over white slip. Black, green or turquoise may accent and bridge the interior and exterior surfaces, often in the form of dots or lines. Simple, elemental surface design has unending possibilities to me. 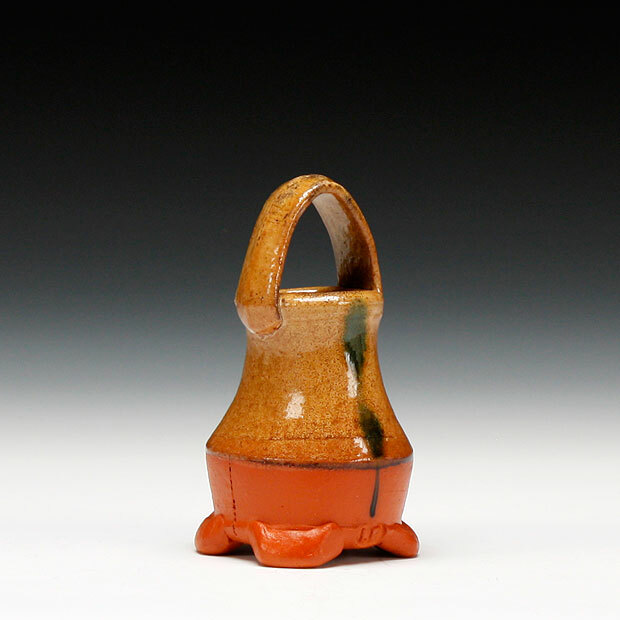 The colors I choose to work with, including the rich red of the earthenware clay, touch me deeply. I draw references from nature, nearby in the hills of Afton State Park, as well as far away in the distant landscape of Morocco. My influences run from North African and French cooking pots, the folk pots and textiles of Asia and South America, and the rich Mingei tradition that has surrounded me in Minnesota.